Barbie is a lovely chocolate female, 8 months in the picture. 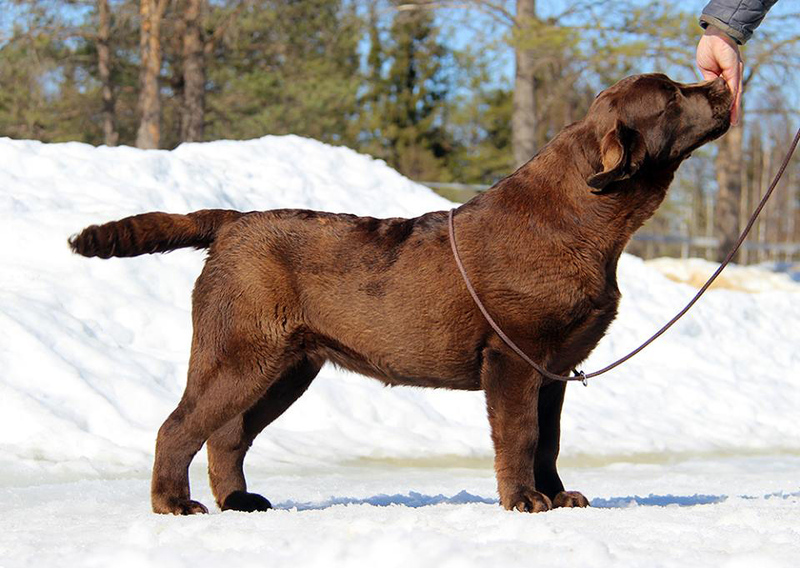 She is co-owned with Anncharlott Burman, Tjotte's kennel, Sweden. She has A/A hips & 0-0 elbows and she is PRA, EIC and HNPK "clear by parentage".